Good quality cable. Our goal is to make sure that you can find exactly what you are looking for and make it easy for you to place your orders. Color: Black Cable Length: Approx. If you are not satisfied with the item, you can. 1 x Extension Cable. The colors may be a little difference for the different monitor display. Detail Image. Size: Approx. Canada, United Kingdom, Austrilia, France, Germany, Spain, Ireland, Italy, Others. ps1 MULTITAP Playstation Official BOXED Plug Upto 4 Controllers & Memory Cards. Condition is Used. Dispatched with Royal Mail Signed For® 2nd Class. 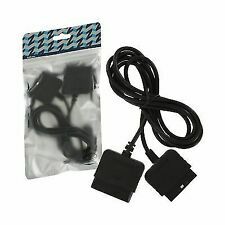 Playstation Controller 2 Metre Extention Cable . In excellent condition and perfect working order Feel free to ask any questions Thanks for looking Dispatched with Royal Mail 1st Class. The Luma line is used as sync. My cables with Sync on Luma are as good as you will get no need for Csync its totaly clean due to shielding n Build Quality. 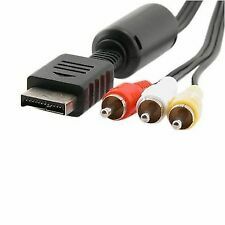 1 x AV Cable for Sony Playstation. 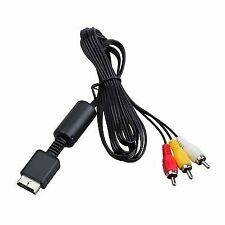 Cable for use with PlayStation 2 or 3. 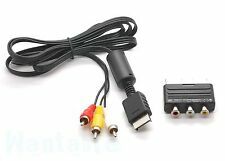 Audio Video cable for standard TV output. Ultra thick and flexible PVC jacket with color coded connectors help to simplify installation. 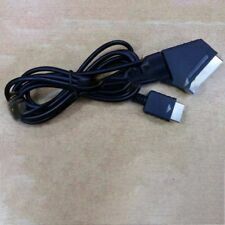 Official Sony PlayStation 1 RFU Adaptor. Two different model numbers (SCPH - 10072B, 1122), all in fully working order. Condition: Very Good. HIGH QUALITY / HIGH DEFINITION LEAD. 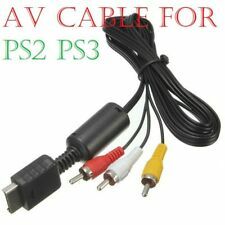 For sale is a cable setup for PS1 including RFU cable and official Sony power supply cable. All tested and working, thanks for looking! Sega Dreamcast -Plug directly into console. - 2m length with 3amp fuse. Microsoft Xbox original - Plug directly into console. Microsoft Xbox One S- Plug directly into console. Microsoft Xbox One X - Plug directly into console. Has AV ports for Light Gun use etc. 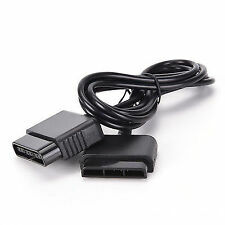 AUTO SWITCH RF adapter box for PLAYSTATION. New, unused (though box is a little scruffy). or Cash on Collection. Note: These RF cables might not work on newer TV sets. Tested and in good condition. OFFICIAL SONY RFU TV ADAPTER. Part No SCPH-1122. 2 x Phono Audio cables & 1 x Video cables to connect to your TV. 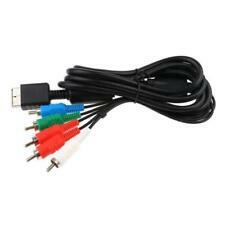 Red and white cables are used for stereo audio and the yellow for video. connector, video output connector and 2 audio output connectors. Cable length: approx. 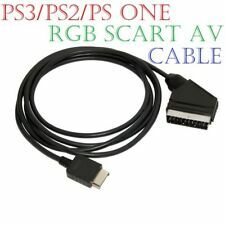 OFFICIAL SONY PLAYSTATION S-VIDEO CABLE. OFFICIAL SONY PRODUCT. Made by: Sony. WE ALSO HAVE N64 RF LEADS AND DREAMCAST ETC. NEED TO TUNE TV IN.